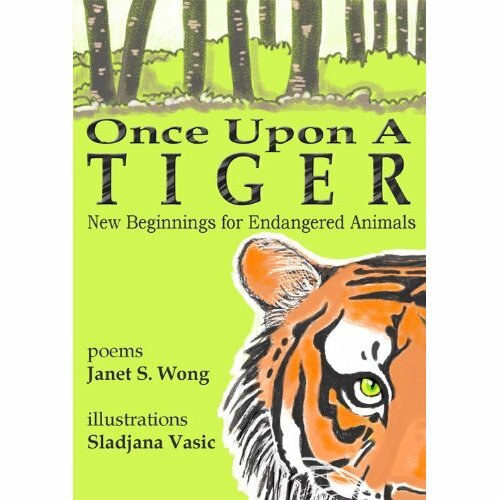 Last April, children's author Janet Wong wrote about her adventures as she released two Kindle books. A few days later Janie Bynum and Laura Ruby collaborated on Judging an ebook by its cover, which goes into detail about the process of designing an eye-catching cover. 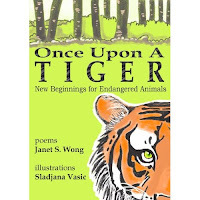 It turns out that Once Upon a Tiger won the nonfiction cover award for September given by The Book Designer blog. Congrats to the artist, Sladjana Vasic! There is an interesting series on the Password Incorrect blog called Ebook Specific Cover Design…here is Part 1: Context. Readers of E is for Book may recall my post from last February, From out-of-print to ebook—a progress report. 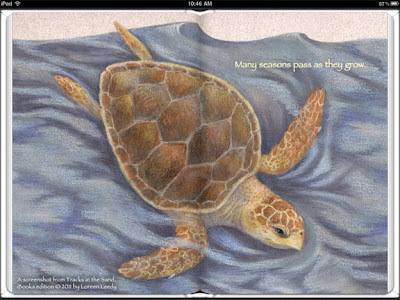 Since then, some of you may have wondered if I'd given up on the effort to transform my sea turtle book, Tracks in the Sand, into a digital book. Despite various delays, side trips, and stumbles, I'm happy to say that it's now for sale on the iBookstore, so yay! 1) Scan artwork The turtle artwork had been scanned a few months ago so I was partway to the finish line already. I used a desktop scanner…fortunately the pages fit height-wise, though I did have to stitch the two pages into a spread in Photoshop. 2) Revise text and make book plan I ended up eliminating some pages such as a redundant title page, splitting up some spreads, fixing a couple of minor text errors, adding a sentence to smooth a transition, and abbreviating the afterword. The biggest issue was that the original book had horizontal pages while the native iBooks page is vertical. I discussed the page versus tablet screen size dilemma in more detail in Digital books: Will form affect content? on the I.N.K. blog. It's possible to maintain the book's original page size (requires coding), but it means that the reader either sees letterboxed art with black bars above and below or if zoomed in has to keep swiping to see both pages. I wanted readers to easily see a complete spread when the iPad is held in landscape orientation. 3) Tweak artwork I moved turtles around and performed other Photoshop surgery to keep important parts of the images out of the faux gutter in iBooks. This took the most time…the head of a cute little baby turtle cannot be squinched in the gutter! I set up an InDesign dummy file to allow me to see all the spreads in a book-like arrangement with roughed out text placement. Unfortunately, at this time InDesign cannot output fixed-layout EPUBs, although it can export the reflowable kind. 4) Save for Web/Devices The artwork was split into single-page jpegs with these dimensions: 816 X 1224 pixels. That keeps it under the maximum size for a single-page image, 1 million pixels. Apple suggests in their iBookstore Asset Guide (available only to approved publishers) that it's better to have two single-page images than one double-page image. Probably helps them to load better; wish I'd read that before doing it the other way first. I used Dropbox to get the jpegs onto my iPad. 5) Apply to be an iBookstore publisher Once it appeared that making an iBook was really possible, I applied to be a publisher on the iBookstore. You need a U.S. tax I.D. number among other things; here is the iTunes Connect Online Application. It doesn't cost anything and took about a week for approval. In addition, iBooks need an ISBN number, available in the U.S. from Bowker. There also are 3rd party aggregators that you can use instead of doing it all yourself, see this iBooks FAQ page for more info. 6) Prepare layouts I placed all the images and added the text in Book Creator, then previewed the book in the iBooks app. After much tweaking and previewing back and forth, when it was finally, really finished, I used Dropbox to get the epub file back on my computer. One extra thing that I did was to prepare a special epub file to be the sample on the iBookstore. If you don't, a sample is automatically generated that may not be to your liking. I wanted a longish sample so people could see what they were getting. If you have an iPad, you can download the Tracks in the Sand sample here. Or, in your iBooks app, click on the Store button and search on the title. 7) Upload the iBook Apple provides free software called iTunes Producer in which you provide details such as the author and illustrator name(s), ISBN number, description, category, and so on, then it "packages" all the files for delivery. Once the package was uploaded, it took about 11 days to go live. All iBooks have to go through an approval process. 8) Create buzz So now I just have to figure out how to let people know Tracks is available again…otherwise known as marketing. It ain't easy…for one thing, there are no iBooks review sites that I'm aware of. By all means if you know any turtle-lovers, please spread the word. If you're interested in adding audio and word highlighting and otherwise tweaking the code, check out Liz Castro's various EPUB guides. If you have any questions I’ll try to answer them in the comments. Thanks for reading! As a new medium for telling stories, book apps include many factors for authors and illustrators to consider. We always love to hear what librarians have to say on the topic. Multiple languages, interaction with words, elements that can be replayed, and how the medium shapes reader expectations are some of the issues Mary Ann touches upon. Happy reading!